Northrop Grumman's fourth-generation airborne targeting pod has reached the mark of 1M flight hours with military aircraft platforms since the system was fielded in 2012. The company said Monday the latest version of its LITENING pod has supported U.S. and international defense customers on aircraft platforms such as F/A-18, F-16, F-15, C-130, B-52, A-10 and AV-8B. 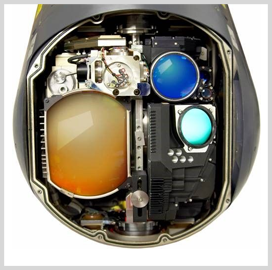 LITENING uses laser imaging technology, 1K forward looking infrared radiometers, two-way datalinks, high-definition video and charge-coupled device sensors designed to help warfighters detect, track, acquire and validate targets from a long distance for surveillance, reconnaissance or weapon delivery functions. Northrop has recorded nearly 3M operating hours for the system's II, extended range, advanced targeting and fourth-generation variants.